Though “Great” might be a bit of a stretch, with the Dominican Republic’s history there is little wonder why it has not had great leadership. However, they have had brief moments in their history that have shown some small glimmers of hope in the leadership of the country, or, more accurately, you might say the darkness and oppression was slightly elevated. Regimes overthrown that had long been in place, deadly military coups and a totally ignorant population. This is just a small taste of what Balaguer had to endure during his presidency. He may have started as a puppet, yet he ended as a leader who truly wanted to help the people. His first term was a long and prosperous one. Especially considering the circumstances. He improved the economy, built hospitals, schools, highways, dams and several other important buildings. However, he was not without his corruptions. He did resort to less pleasurable means to keep the opposition at bay. After eight years of absences he returned as a more liberal man. He did not threaten the opposition hardly at all. Balaguer was an old man the first time he decided not to run for president. This was after some controversy over his election to presidency after another absence. He decided on a short term and then a re-election, of which he would not participate. Balaguer was considered by some to be the father of Democracy in the Dominican Republic. He brought a country full of Regimes and totalitarian governments to a more Democratic state. He improved the economy during most of his terms as president. Joaquin Antonio Balaguer was a close friend to President Ronald Reagan and a strong United States allied. Balaguer had one daughter named Ariadna whom he protected from the public and thus kept her name and existence very secretive only known to a very few. Concealing her existence became inevitable since he had declared war on organizations that were conducting human trafficking. It is also said that she attended undergraduate and graduate school in Europe as well as in the United States, and now currently resides in Florida. After his passing, through the years it has been known that she resides in the United States somewhere in Florida and that her initials are the same as her father’s, Joaquin Antonio Balaguer. Though today, her last name is said to not be that of her father’s, due to marriage. President Trujillo is another President of the Dominican Republic that you may not be able to call great. However, he brought prosperity to his country. Trujillo was a strict ruler. His greatest flaw is a hard one to overlook. During his rule an estimated 50,000 of his people were killed. He is, however, contributed with bringing structure and order to the Dominican Republic, reorganizing the economy and putting in place infrastructures for the country. Thirdly Matías Ramón Mella, Juan Pablo Duarte and Francisco del Rosario Sánchez, while not Presidents, deserve to be mentioned as being known as fathers and architects of the Dominican Republic. They were the three leaders of the La Trinitaria army and Dominican War of Independance. Afterwards they were members of the Central Government Board. Without these three men the Dominican Republic would not be what it is today, if it had somehow managed to even come to exist without their efforts. 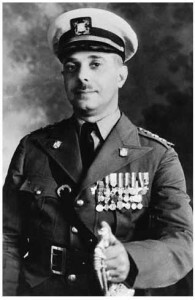 One of the highest awards Military or Civilian in the Dominican Republic can achieve is the Order of Merit of Duarte, Sánchez and Mella. These three represent the best that the Dominican Republic has seen in its history of leaders.